Guerita Sportfishing is known for providing fishermen with the best fishing experiences in the area. However, we also happily offer those staying in and around Cabo with an opportunity to sail away at sunset on our beautiful, intimately-sized luxury boat. You and your significant other can take this as an opportunity to enjoy a romantic Sunset Cruise. Though the Guerita III is capable of accommodating a total of eight people, it’s still a very intimately-sized boat, allowing you to steal away from the larger crowds for an evening. 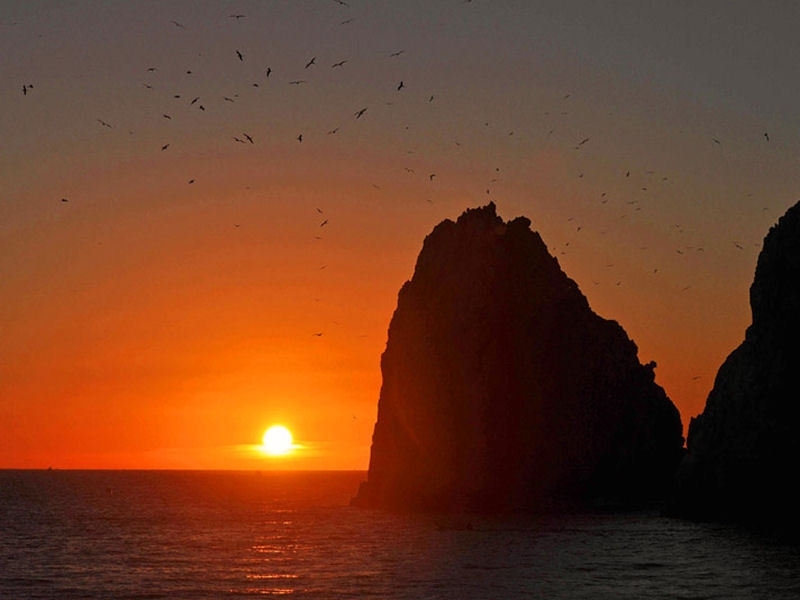 When you book a Sunset Cruise with Guerita Sportfishing, you will get to experience Cabo from a new light. There’s just something truly spectacular about wrapping your arms around your significant other as you watch the reflection of the sunset dance across the water. People really enjoy taking in the sights of Cabo from the water, and many of them can’t believe how beautiful the city is from that perspective. Whether you’re celebrating a honeymoon, anniversary, or other special event, our Sunset Cruises will be perfect. If you are currently planning a trip to Cabo and booking your itinerary, you should absolutely find a way to work a romantic Sunset Cruise with Guerita Sportfishing into the mix. It will be a truly special event that you will remember for years to come. Whether you are coming to Cabo for the first time or have made it an annual trip, Sunset Cruises are a great way to get a different taste of the city.